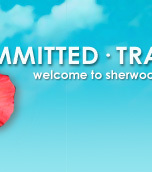 Sherwood Hotel Management Sdn Bhd is one of Malaysia's leading management consulting company. Over the years, Sherwood has acquired vast knowledge and expertise in providing various management consulting services for properties from pre-opening to post management stage, taking over distressed properties and turnaround its businesses. As Professionals in this business, we consider ourselves as strategic partners with Hotel Owners and our primary responsibility is to ensure your success which in turn will be ours. Sherwood is an experienced company and having been in this business for over 15 years, we have acquired the knowledge, experience and competencies to provide a wide range of consulting services to Owners. We have handled project investment from RM 6.0 m (USD 1.6 m) to as high as RM 250.0 m (USD 68.0 m), rooms inventory from 55 to as high as 1200 and hotels from 3 'star' to 5 'star' category. Our motto 'Committed * Transparent * Focus' are principles and virtues that we preach and practice. Professionalism will be the way we conduct business with Hotel Owners and business community.